A comprehensive resource for all your ADC needs. 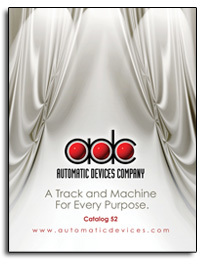 View Catalog 52 using the Adobe Acrobat reader. If your system does not have Acrobat, click the button to download the free reader from Adobe. To view the entire catalog 52 pdf file (file size - 5.3 mb) click the link below. (Note) End views are not to scale.